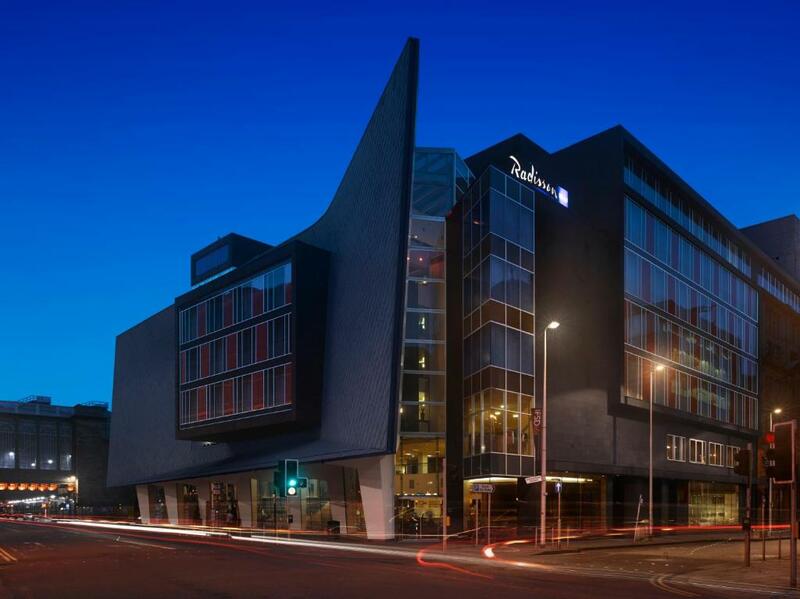 Lock in a great price for Radisson Blu Hotel, Glasgow - rated 8.8 by recent guests. 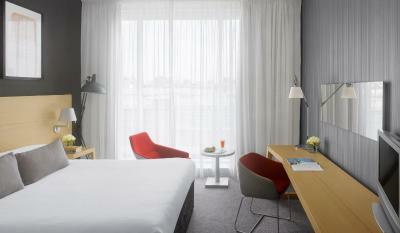 Very nice hitel with friendly staff andgood loacation in the city center. 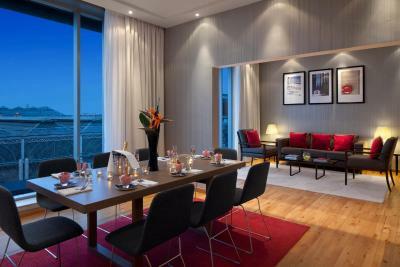 Very impressed with everything from the excellent service from friendly staff to the great breakfast, the amenities available in our room, the cleanliness and the overall look of the hotel including the glass lifts from which we could clearly see where the restaurant and bar were and what floor we were on. 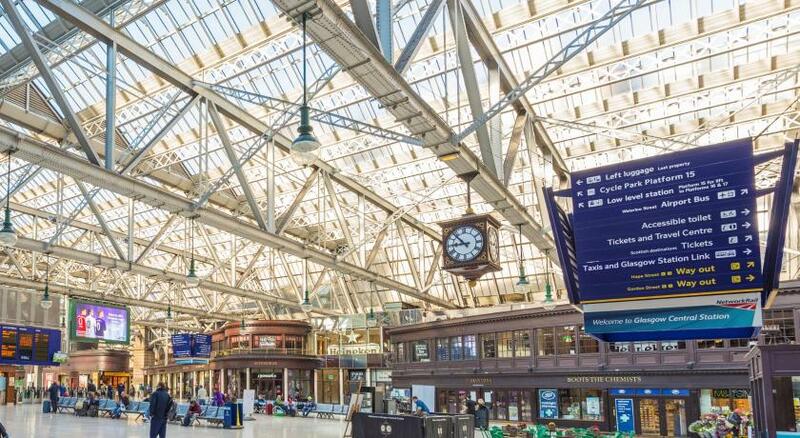 It was also very handy being so close to the train station and the shops we wanted to visit with only a short walk to the theatre. Location was good for walking around city and conveniences. Well located and the architecture was lovely. 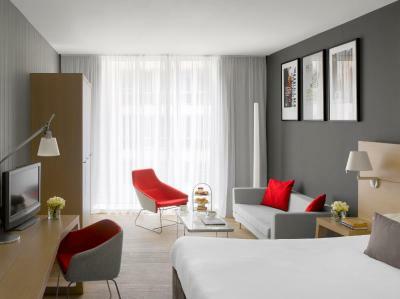 Rooms are spacious and bright and well appointed. 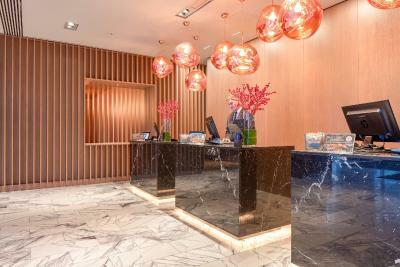 Staff were very welcoming at reception and helpful. Room was clean and tidy and ideal location. 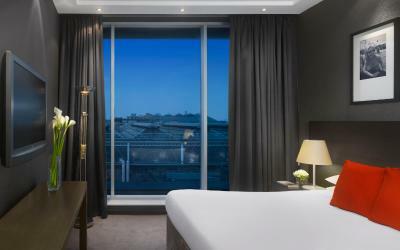 I loved the setting off the room and staff where so polite! Also thank you for the setting with the petals on the bed my boyfriend loved it. 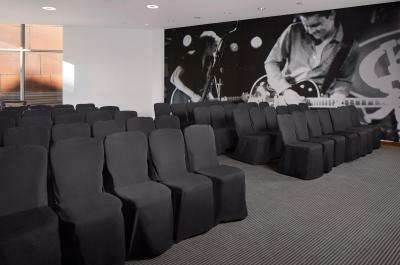 Great staff very accommodating and really lovely facilities in a great location. 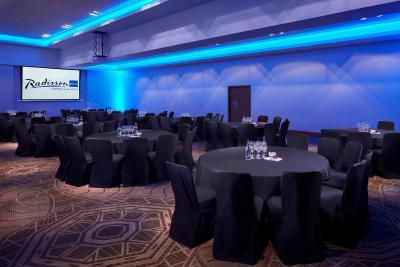 Excellent location, close enough to walk along the river to the SSE Hydro. 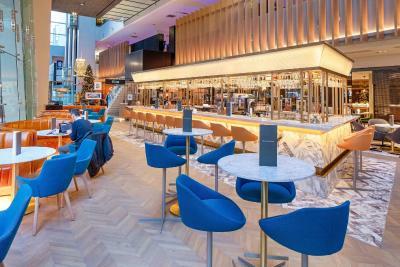 Spacious, clean and lovely, friendly staff. 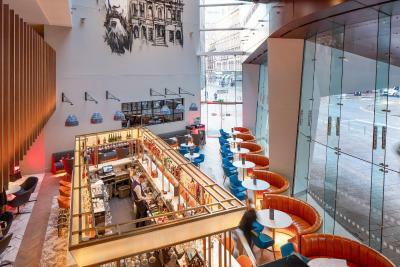 One of our top picks in Glasgow.This modern hotel is opposite Glasgow Central Station and features award-winning architecture. 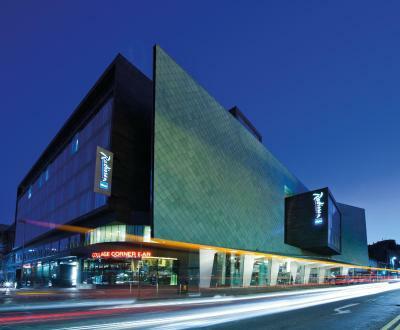 It boasts a stunning atrium and rooms with wall-to-ceiling windows. 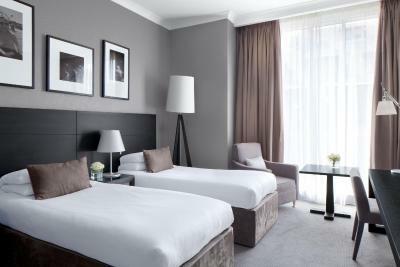 The spacious rooms at the Radisson BLU Glasgow are decorated in soft colours and feature a TV, free WiFi and a minibar. With heated floors and mirrors, bathrooms include bathrobes and slippers. 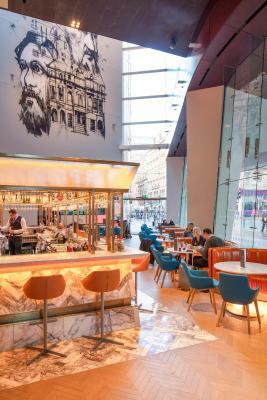 The Grahamston Kitchen offers British cuisine with a twist, and includes a range of signature dishes. 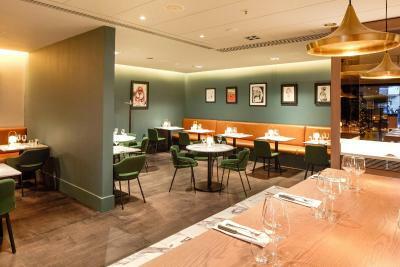 The food is produced using fresh ingredients and a selection of wines are also available. 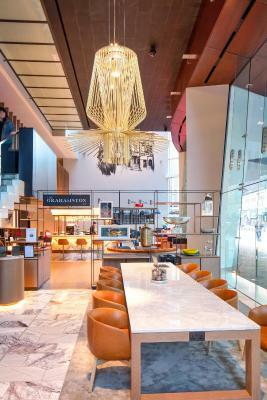 The casual Lobby Bar has light meals, coffees and snacks. 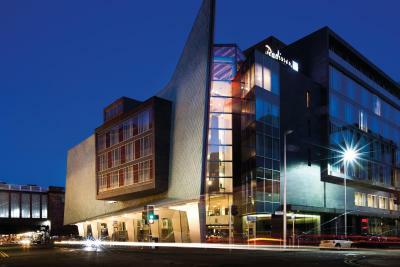 The hotel is just a 5-minute walk to the Gallery of Modern Art and St.Enoch Shopping Centre. 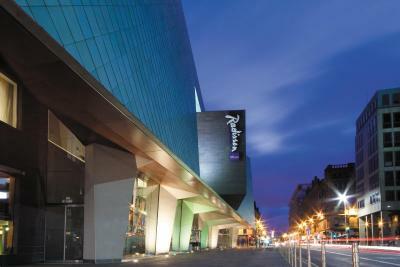 The Royal Concert Hall and George Square are both half a mile away. 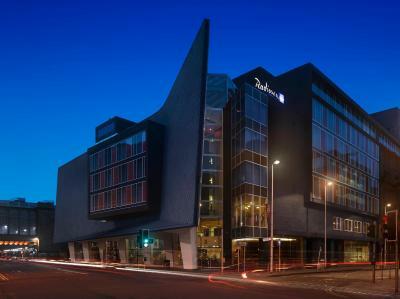 Radisson Blu Hotel, Glasgow has been welcoming Booking.com guests since 1 Dec 2005. 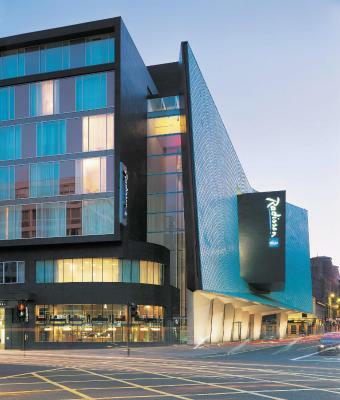 When would you like to stay at Radisson Blu Hotel, Glasgow? 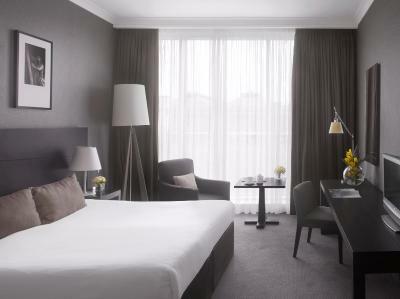 This twin/double room features air conditioning, electric kettle and seating area. 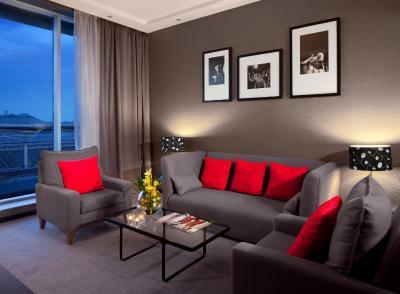 This suite features a minibar, air conditioning, daily newspaper, Nespresso coffee machine and seating area. The en suite bathroom offers bathrobes and slipper. 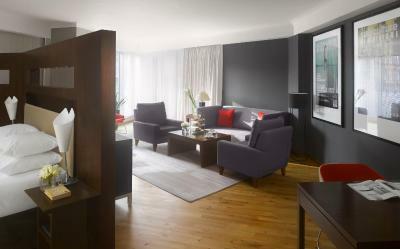 This family room has a minibar, electric kettle and flat-screen TV. This suite features a view, bathrobe and electric kettle. 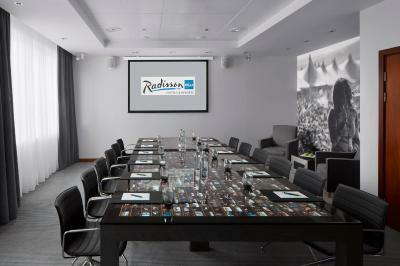 House rules Radisson Blu Hotel, Glasgow takes special requests - add in the next step! 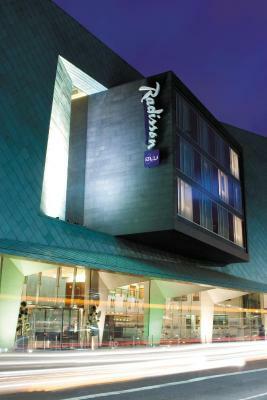 Radisson Blu Hotel, Glasgow accepts these cards and reserves the right to temporarily hold an amount prior to arrival. 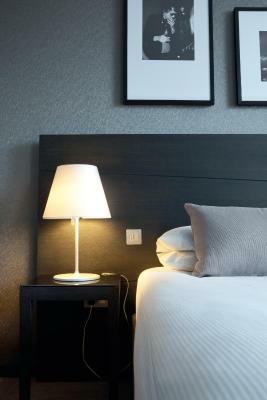 Please note that only children over the age of 12 will be charged GBP 15 per night. Lock on the door did not open very well, but this is a small detail. Very nice breakfast. 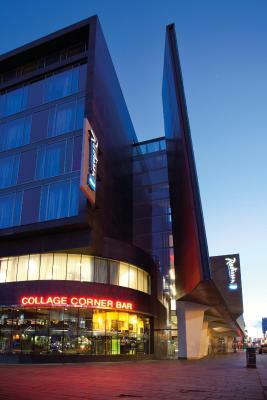 Very good location, clean rooms, good bar. Nice hotel. The pillow were too soft and mattress also. Spa and pool would of been nice. Centrally located and the service. Coffee for breakfast was not very good. The rooms were really hot even worth air con, made it quite hard to sleep and for an accessible room the bed was high and the shower could have done with a seat in it, i had to sit on the floor to use it. For £210 a night it was quite expensive for what it was. Staff were great and breakfast was great. 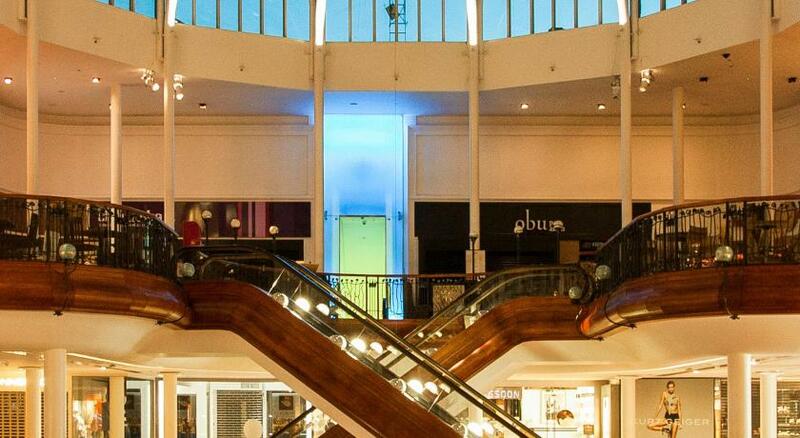 The information provided around the closure or the leisure facilities and the shower was poor with no pressure. Think it should more choice of films or maybe Netflix for guests. I have no dislikes about the property. The only thing was we never got a chance to use the spa facilities because it was Easter weekend.